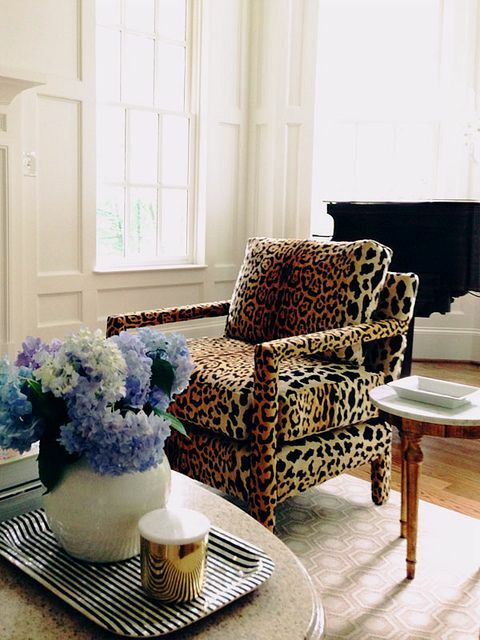 Animal print is a neutral. I’ve heard this a lot lately, and I think it’s so funny! But true! Jenna Lyons at J. Crew is really the one who has made leopard a mainstay in all of our wardrobes. That trend has carried into interior design. Be careful though, it can start looking cheap really quick! 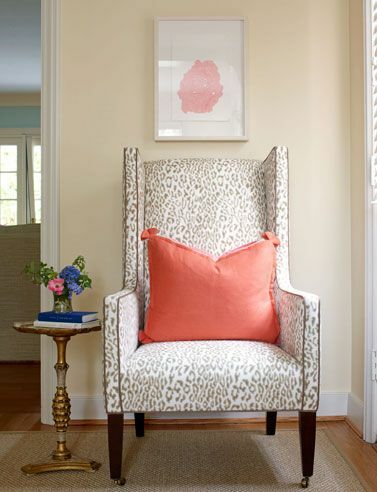 Don’t be afraid to use animal prints with bright colors and other patterns. This look can be so sophisticated or really cheapy! It’s tough to pull off, but when done right it’s so chic! 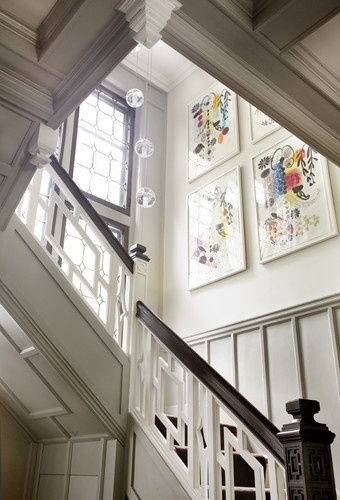 Sometimes the staircase in a home is overlooked, but I think that’s a mistake. 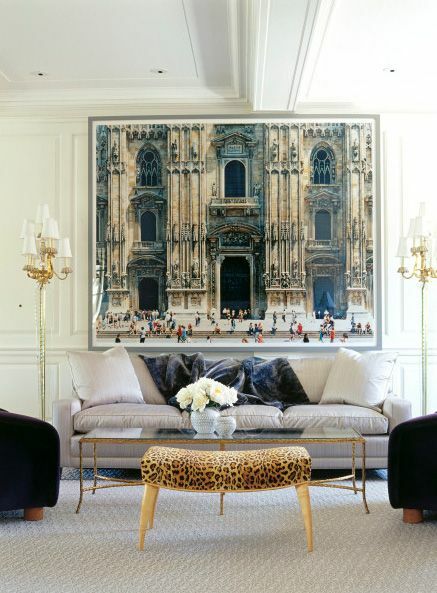 It’s a huge architectural feature in your home, and it can really make a statement. Here are a few I really like. I LOVE this railing. It’s dainty and strong at the same time. It’s modern and a little French (which I always love). So sophisticated. James Hunniford-designer. Another iron staircase. 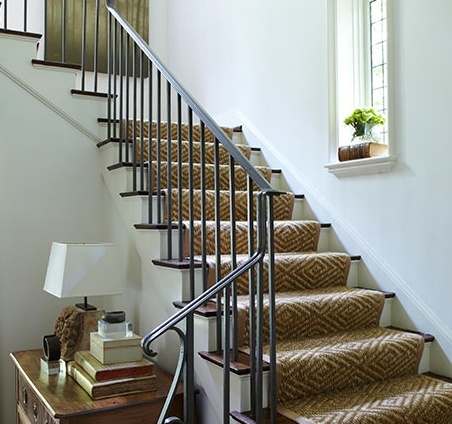 These metal staircases are my obsession right now. I love the thin lines they create. And the gold railing on this one, makes it so rich. Liz Hands Wood- designer. This look is definitely sophisticated but the grass runner gives it a great California casual feel. Fairfax & Sammons Architecture. 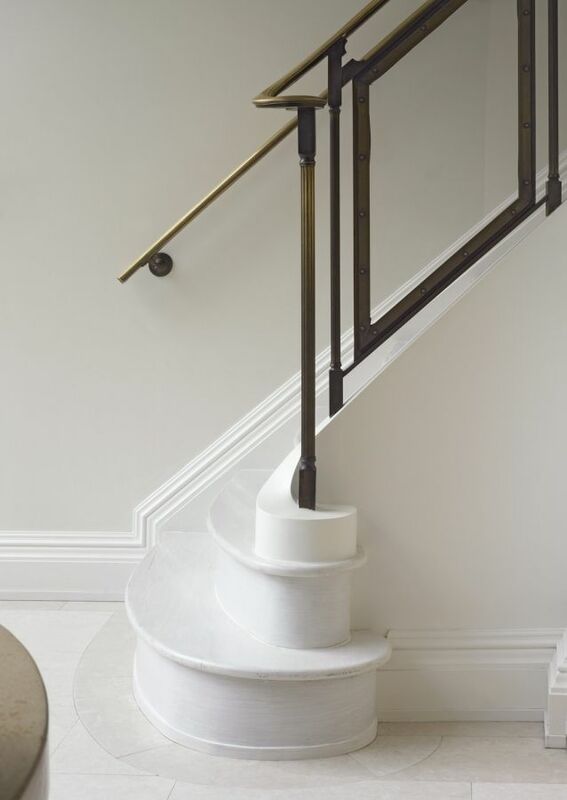 The spindles on this staircase are very straight and thin, almost streamline. 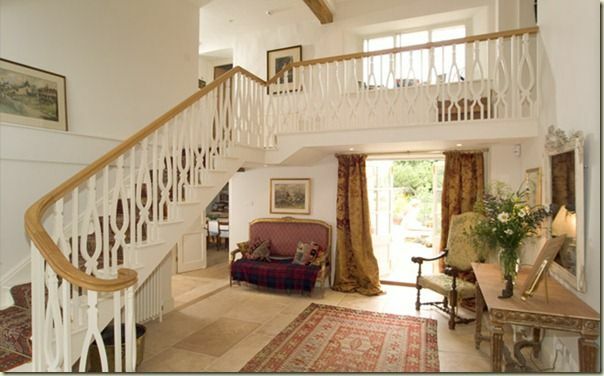 This house is so traditional and like this simpleness with everything else going on. Kathryn Scott Design. The stairs are marble. This is very formal but really makes it French. This one is so different. It’s a tudor style house. 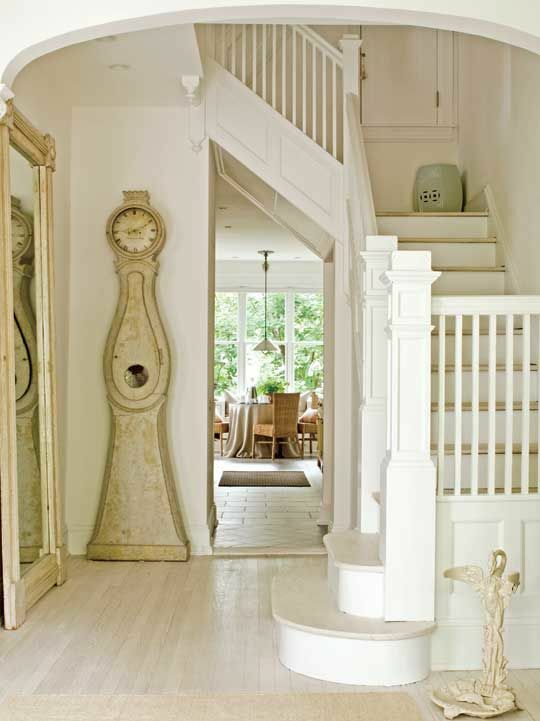 The baluster is very traditional in design, but they whole thing feels up to date with the are and white paint. Peter Dunham Design. This is your standard traditional railing. Dunham has updated this look with the great pattern. And the white paneling looks great. Loi Thai Design. They kept the original balusters and painted everything white. Looks so beautiful with the light floors. Mary McDonald Design. This is a wonderful combination of so many great design techniques. 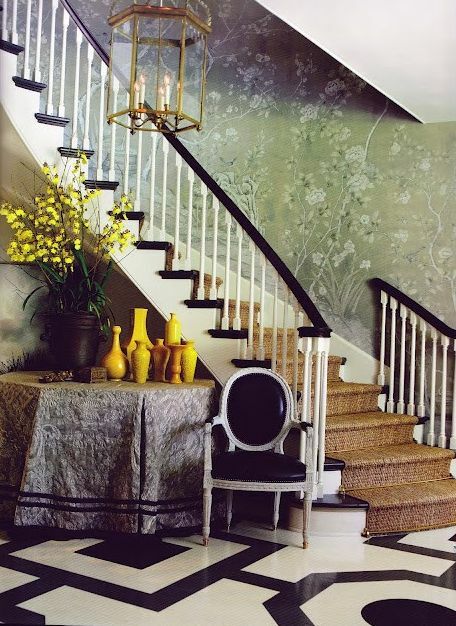 Again, a traditional staircase, but she’s added a beautiful tile pattern, gorgeous wallpaper, grass runner to soften things up, and a brass lantern for more shine. This look is so beachy and soft. The balusters have lovely rounded tops. So cute! VT Interiors. Beautiful custom details on this railing. It’s specifically designed for this home, giving it a modern, casual feel. Love it with the traditional paneling. 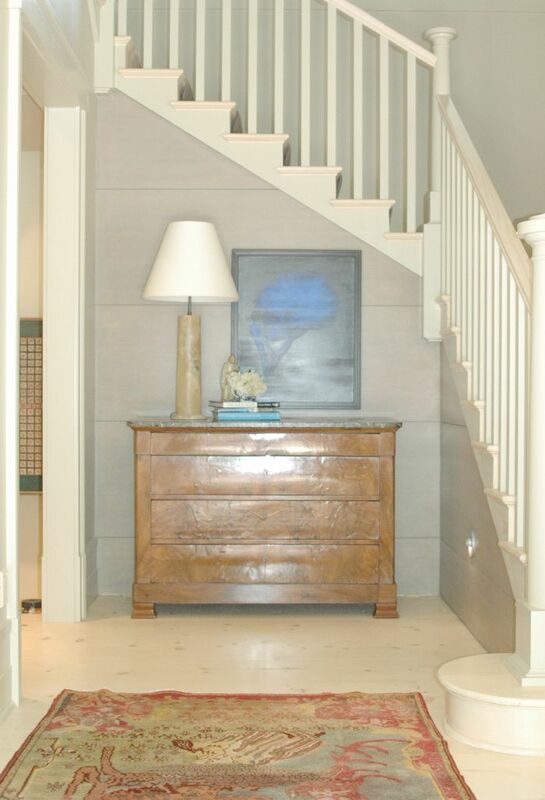 This staircase totally gives character to this space. It reminds me of an updated chalet! Black railing. I almost did this to our current house. I’m so glad I didn’t! I still like it, but it wouldn’t have worked in our home. So many to choose from! Do you have a favorite? Hi friends! Hope you’re having a happy summer! It’s getting extremely hot here in Oklahoma. So we are swimming a lot and generally having a great time with friends and family. Change is a part of life, right? Well, without being aware of it, this blog has changed. In a good way, I hope! I’m pretty much finished with the major remodel projects around my house. I’m still working clients’ homes (which is my love). The more I work on other projects, the more I come to understand all of the nuances of design. A few years back, I was a teacher. I come from a family of teachers, so naturally I want to teach and explain why I design the way I do. I even like to explain other great designers rooms. I like to dissect rooms to understand why it makes you feel a certain way. Design, is feeling and function to me. 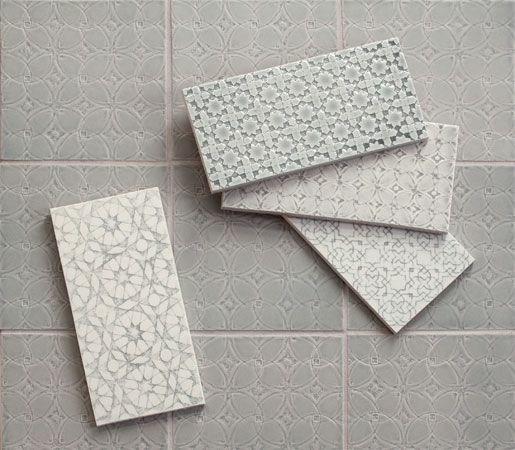 Every little detail contributes to the overall look of a room. This blog has been a blessing in my life. I wouldn’t have a design business without it. I think it makes people feel comfortable with me. They know what to expect when they ask me to help them in their homes. In future posts, I will keep doing what I’ve been doing lately: posting pictures and explaining what makes each room is so special. I might also throw my opinion in about certain styles. There’s not really a style of design that I don’t like. Just as every personality is different, so should every home be different. Your home is a refection of you! So I will leave you with something that inspires me today. I’m obsessed with wallpaper. You have to have a bold personality for many wallpapers. This is one I’ve been dreaming about for months. I love this because it could go so many directions: bohemian, formal, or even nursery. T0 Faux or not to Faux? That is the question. At least around these parts. I would say for the last 10 years the Old World style has been very popular in Oklahoma. Things are changing a bit lately. Things are becoming a bit brighter and cleaner. I have a philosophy when it comes to this style. I really like it if it’s done right. Some people tend to go way over the top (as in anything in life, right?). The key to successfully decorating in this style is moderation. Too much fringe. Too much gold. Too much velvet. Too many faux painted walls. This has such a heavy feeling to me. However, I think Old World can be done with out going to the extreme! Rule #1- Never faux finish or crackle paint an entire kitchen or bathroom. Instead, do just one piece of furniture. I think this makes it look more authentic. People wonder: Is that really old? 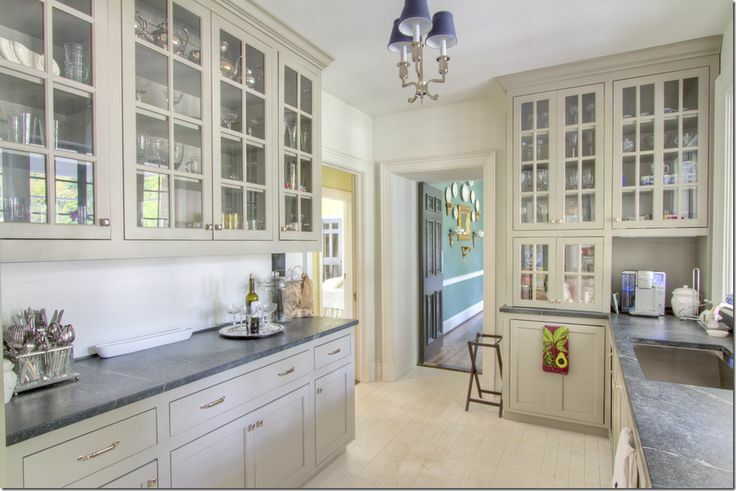 But if the entire kitchen is done that way, it’s pretty obvious it’s not really antique. Here are some examples of this I really like. Now this Swedish armoire is probably really old, but you get the idea. 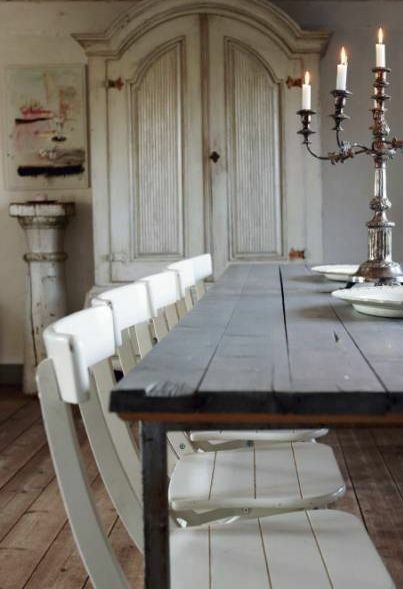 The patina of the piece also goes with the rest of the rustic furniture. This living room is bright and beautiful. 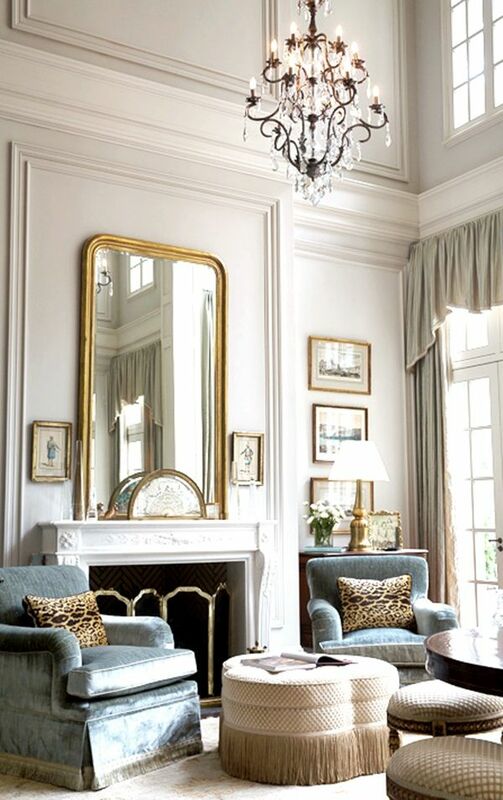 The antiqued mirror adds character to the room. Design by Lisa Luby Ryan. Notice the chest, mirror and settee all have a patina. These few pieces add that Old World charm without being over the top! Rule #2- Never faux finish the walls of an entire room. Of course, there are exceptions to this rule. If you have a professional that knows how to create a beautiful patina to woodwork, it can be extremely beautiful! I’m really talking about what they used to do here in Oklahoma about 5 to 10 years ago. They would paint the walls then take a rag and rub a stain or another paint over the top. I think the goal was to create a cool finish. Some did look okay, but a lot of the finishes just made the walls look dirty. I think you can still achieve the old look without this effect. Another design by Lisa Luby Ryan. This room still has an old French/Belgian feel because of the furniture, art and lighting. Nothing needs to be done to the walls to give this effect. 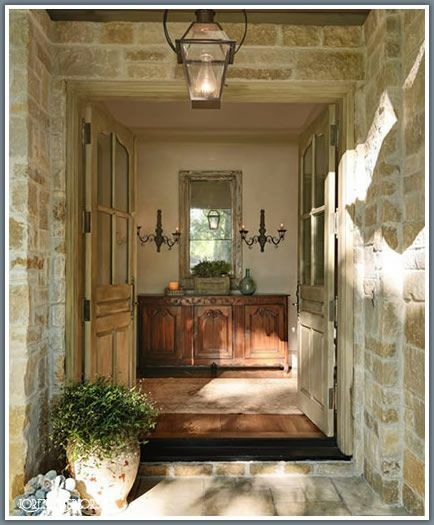 This home is by Loren Interiors in Houston. It has a distinctly European feel because of the rock, wide plank floors, furniture and lighting. Decor de Provence. 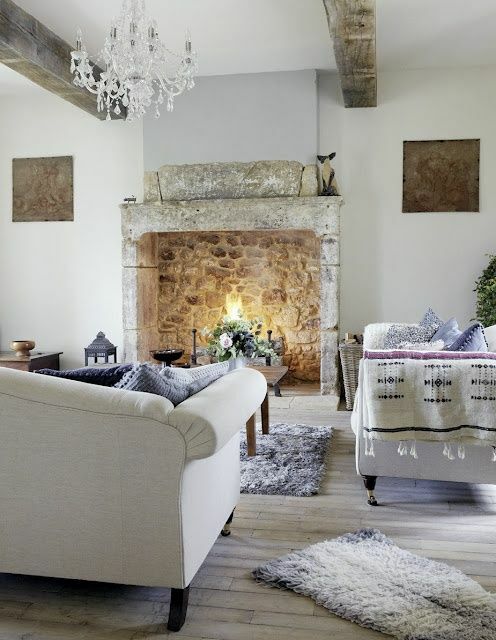 Notice old-looking floors, old fireplace, art and beams. 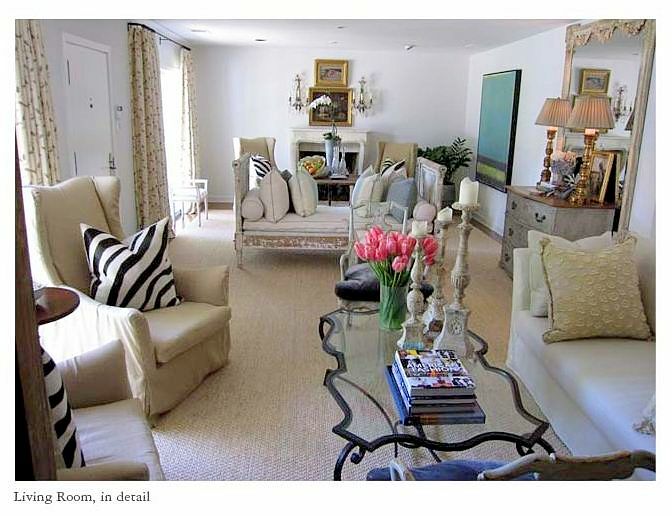 I think this room is so homey and beautiful. 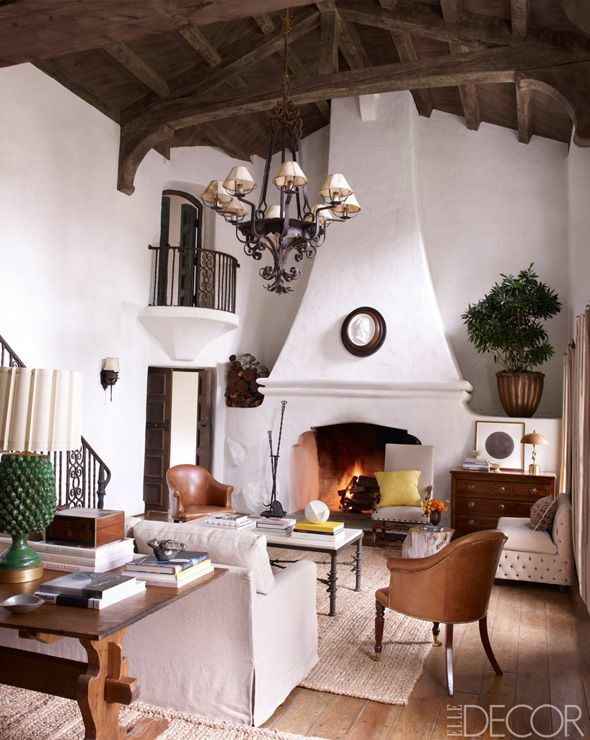 The beams add richness and I love the painted bookcases. They might even have a patina finish on them that would be a great little touch. The smooth cream walls keep it so soft. This has a more rich look without being over the top. It’s still livable. Rule #3- Keep fabric and trims to a minimum. I would say the majority of us do not live in a palace like Versailles, so why do we try so hard to make our homes look like a castle? Everyone has their own taste. I understand that. For me, I like to keep the opulent finishes to a minimum. I love a very formal look, but I’m talking about embellishments. Reece Witherspoons ranch in California. It is very Old World Spanish without fringe and red velvet. 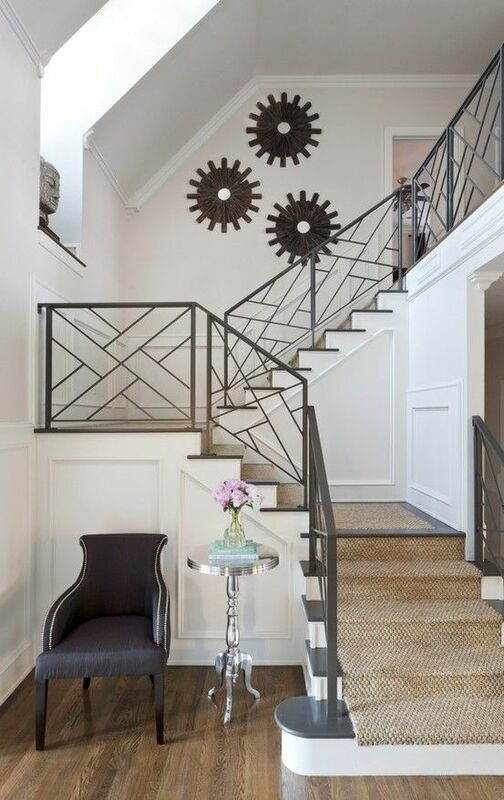 The iron staircase and luxurious rug add the richness to this space. Room by Patricia Healing and Daniel Barsanti. 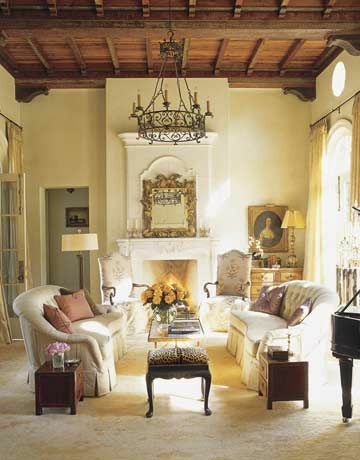 It’s Old World in architecture, but the furniture is simple with luxurious upholstery. These homes are really Mediterranean in origin. And who doesn’t love the Mediterranean? It’s glamorous and rich looking. I think that’s why people around here want to try to copy that European look. In moderation with a few great pieces, it can be extremely lovely and luxurious. I love decorating any room, but my first love is kitchens. Kitchens are the heart of the home. Your kitchen should not only be functional, but a beautiful representation of your style. I love a light, bright happy space. 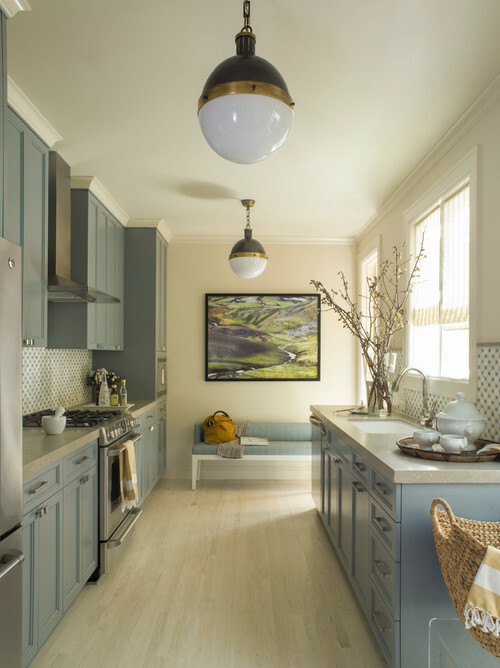 There are some extraordinary kitchens out there, and I want to share a few of my favorites with you! This grey is lovely. The white marble on the backsplash and countertops along with the white walls keep it light and open. I love how different this kitchen is. It’s rustic and raw. Again with the white marble to keep it fresh. So different! Angela Free design out of San Francisco. This color is gorgeous! So rich. I love the patterned backsplash. Looks like it has some sort of quartz on the countertops. Instead of white, they used cream to keep it light (notice the floors). This greenish grey is so pretty. Notice how cabinets go all the way the ceiling. Gorgeous green backsplash with white counters. FGY Architects in California. 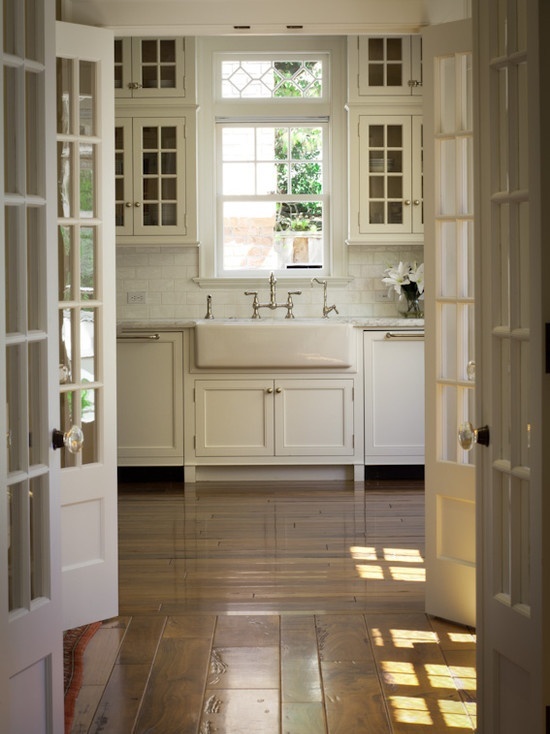 Traditional cream kitchen with wood floors. Lovely and rich. Beautiful marble splash and detail above the window. 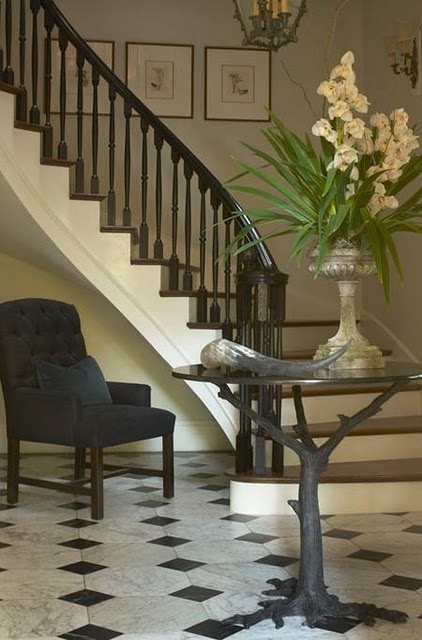 Victoria Hagan design. This color is like a light mocha. So creamy and delicious. It’s difficult to tell what the countertops are made of. The dark hardware stands out and makes a statement. Soft and gorgeous. 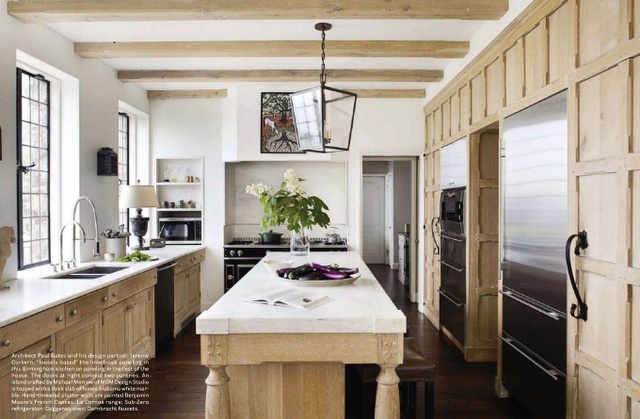 This kitchen is rustic with the beams, but has a contemporary feel with the simple cabinetry and lighting. 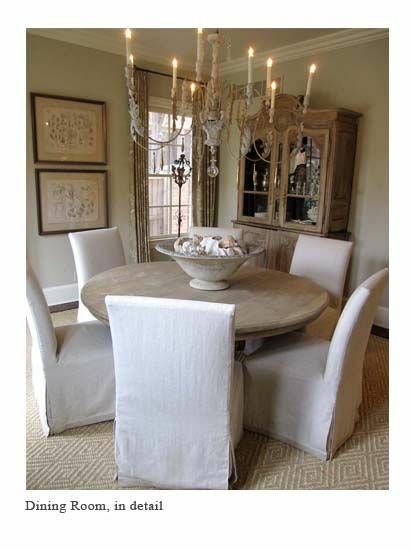 Mary Ross Design in the Woodlands, TX. Love this simple white kitchen. It’s so homey. The lights add a sophisticated, modern feel. This is a butler’s pantry! 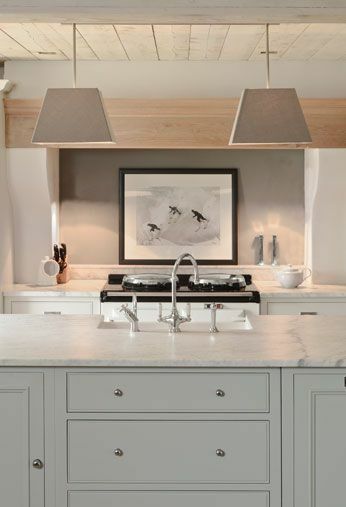 Beautiful mushroom grey with soapstone counters and white backsplash. 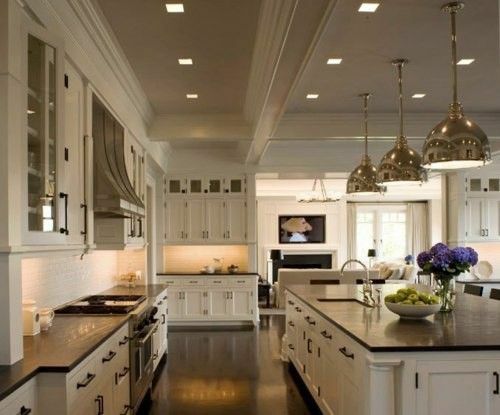 I love the layout of this kitchen. Looks a little too big for my taste. But the layout perfect. I love how it opens into the family room. This kitchen is so beautiful and European to me. 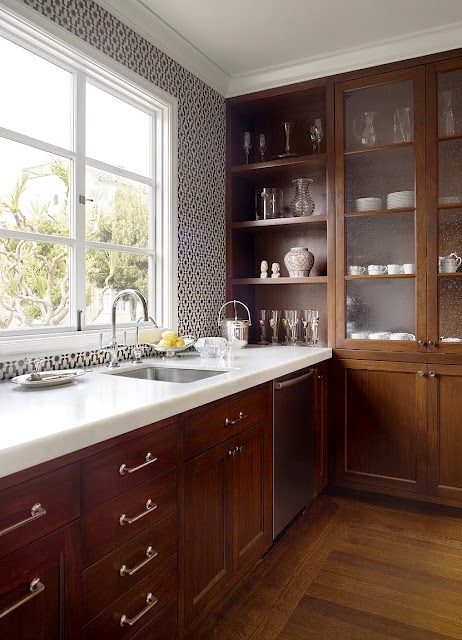 I love open cabinetry. Why hide your lovely dishes and pottery? Show it off and enjoy it as art! Do you have a favorite? As you can see I tend to lean toward a painted kitchen. I do love stained kitchens, but sometimes they seem one dimensional and too brown. Your kitchen should reflect you. If you have any questions or need help remodeling or designing your kitchen, I would love to help! It’s my first love! Sometimes I feel like half my job is keeping a client focused on the ultimate goal. It’s so easy to get distracted by all of the beautiful things out there in the design world. And there are so many aspects to design that you must consider. Sometimes you just want to do the easy thing: It’s easy to become enamored by some shiny object. It’s easy to get wrapped up in the functionality of something and loose sight of the beauty. It’s easy to be overwhelmed by the cost of things. It’s easy to desire whatever your BFF or neighbor has in her house. Here is what I say to that: State a goal at the beginning of the project. For example, my favorite colors are red and green. We do not live a formal lifestyle: therefore, the rooms need to feel cozy and livable. I like Asian inspired pieces and big compfy furniture. The hardware in my whole house is a dark brass. Decide whether you’re going to use white or cream (I’ll talk about this later). Come up with a budget. Work with a friend or decorator. Someone who can have an objective opinion. Someone who will tell you the truth. Someone who keeps on or ahead of trends. And really your decorator should be a friend. Someone you love working with and bouncing ideas off of. 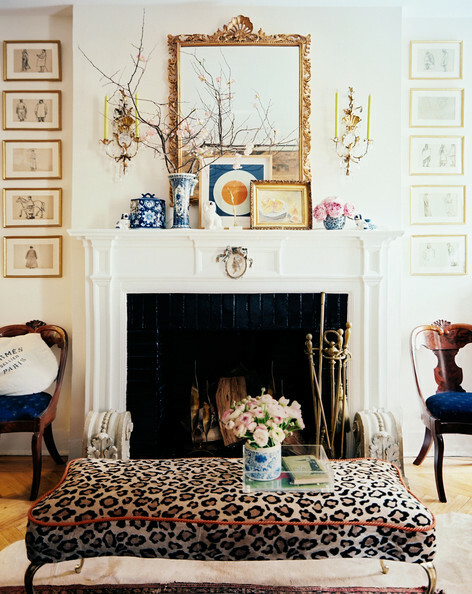 You want your house to look and (key word: feel) cohesive. It should flow nicely from one end to the other and from top to bottom. 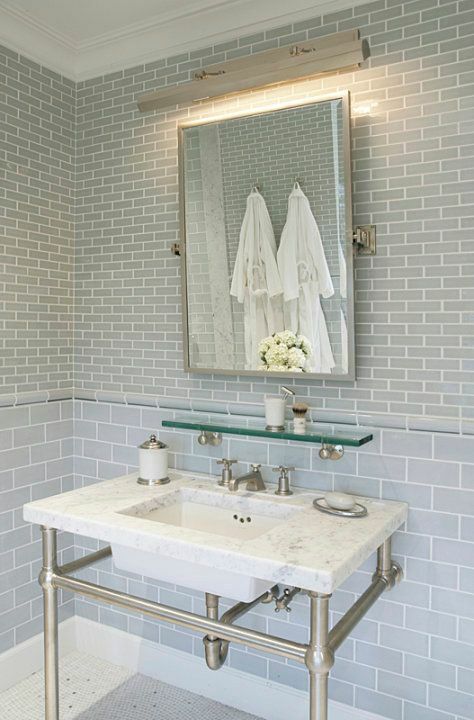 Your master bath shouldn’t be French country and your kitchen midcentury modern. It’s confusing and unsettling. The feel part of design is equally important as the practicality. Every piece you put in that space should contribute to the overall look. If one piece is out of sync, it throws everything off. That piece stands out. Basically, it can ruin all of your hard work. No good! 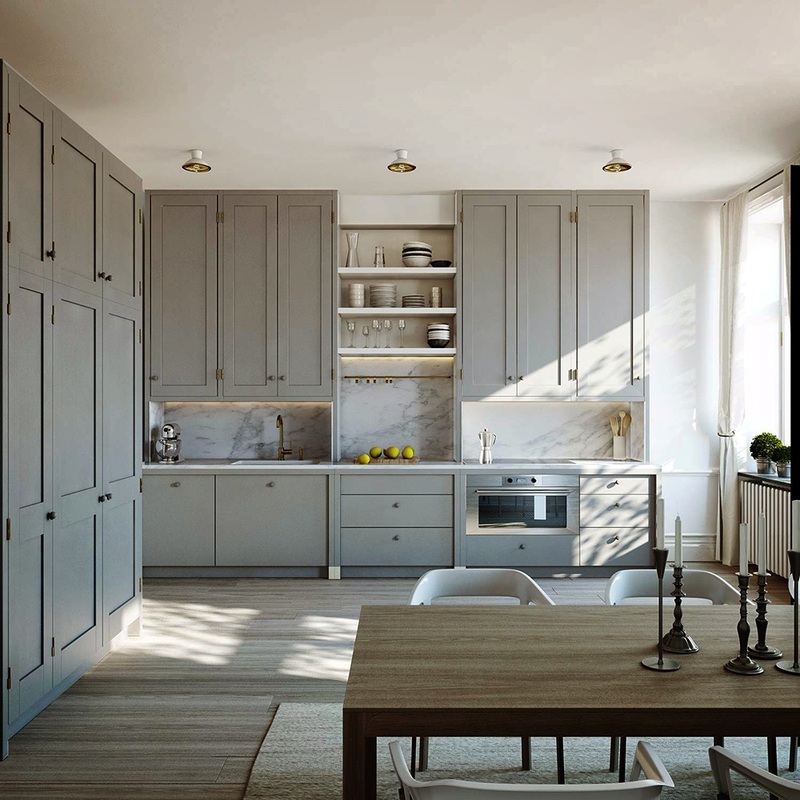 Here are some rooms in which I think the designer did a great time incorporating functionality and staying on track with the design look and feel. I’ll explain why as we go. I love breaking things down! Let’s look at this bedroom first. It is neutral, but there’s so much more going on to make it feel three dimensional. The cream curtains frame each window. They add softness and elegance. The headboard is upholstered with a stripe, that adds softness and pattern. There’s a chair in velvet that adds luxury. 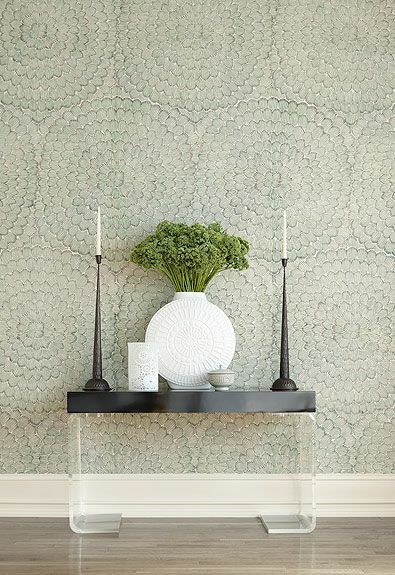 The floral pattern rug breaks up the space in a whimsical way. The metal furniture add shine and a hard quality that breaks up all of the softness in the room. The light adds that contemporary touch to the room. None of the pieces are a set. This gives it that collected, expensive, designer look. Let’s look at this kitchen. They stuck to feel on this kitchen without sacrificing practicality. This wood looks so rich with the white molding. 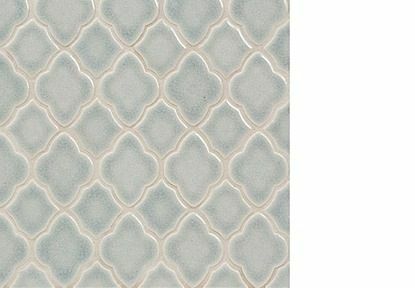 The tile creates a beautiful pattern. It has that hand created look that adds softness. 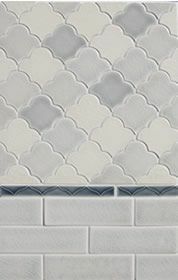 The tiles are not perfect. Looks like maybe they did caesar stone or marble on the counter. 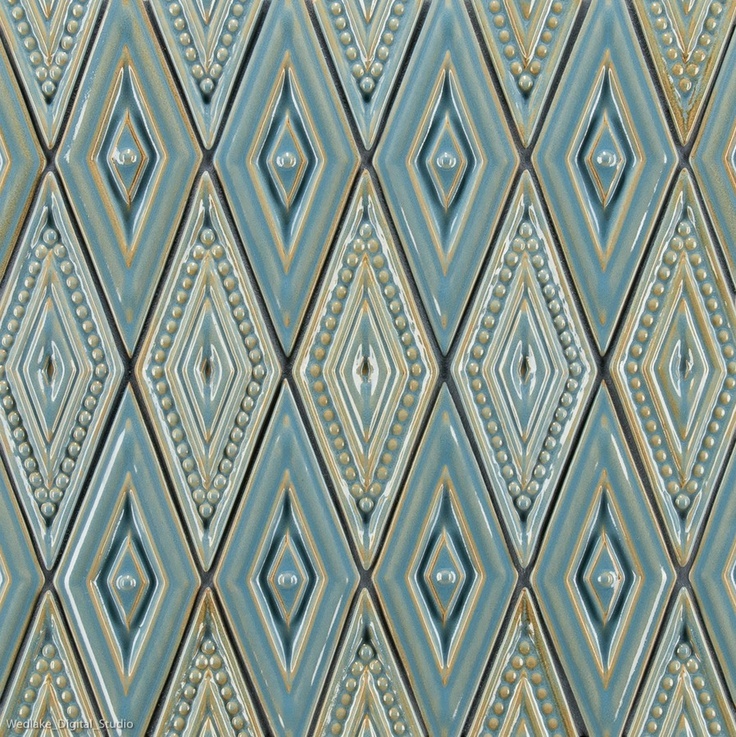 They did that because of all the pattern with the tile. 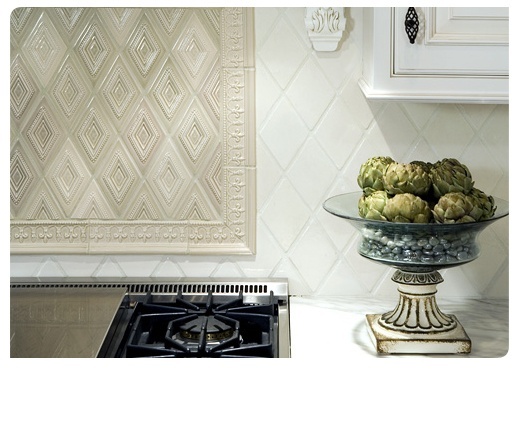 You can’t have pattern (like with a granite) on the countertop and pattern on the backsplash too. 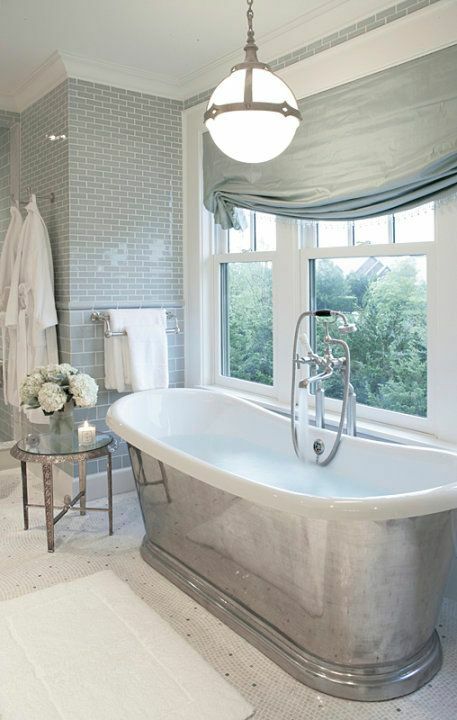 Everything from the pulls to the faucet to the beaded glass adds to this look. 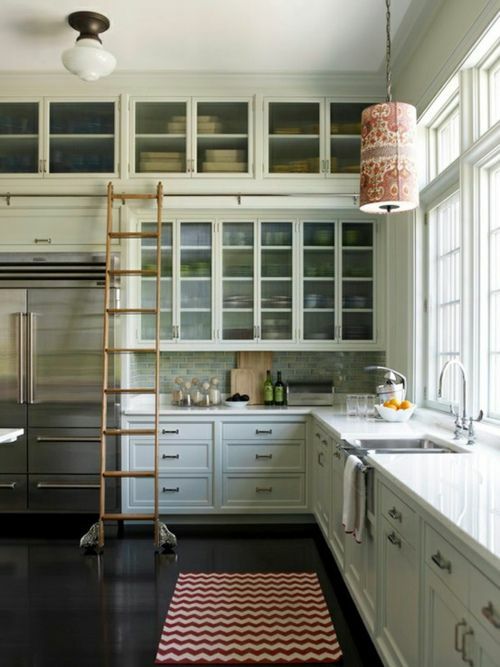 Even what’s in the cabinets gives it a more modern but homey feel. FEEL is so important! Now let’s look at a mast bathroom. This is perfection in design. She placed her pattern on the floor. Therefore, the windows and walls had to be solid. You really have to pick one or the other. This light blends, but it also is the right color and size. The art is just the right color and size for the space. 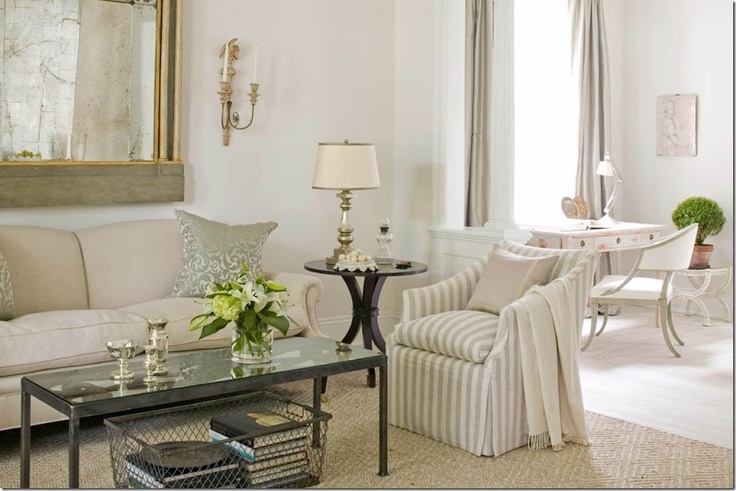 Every little detail makes this room feel peaceful and luxurious. Let’s look at dining room. I would say the two big things in a dining room are lighting and variation of furniture. Both of these things add depth. Lighting is HUGE to me. It can change the feel of a room. 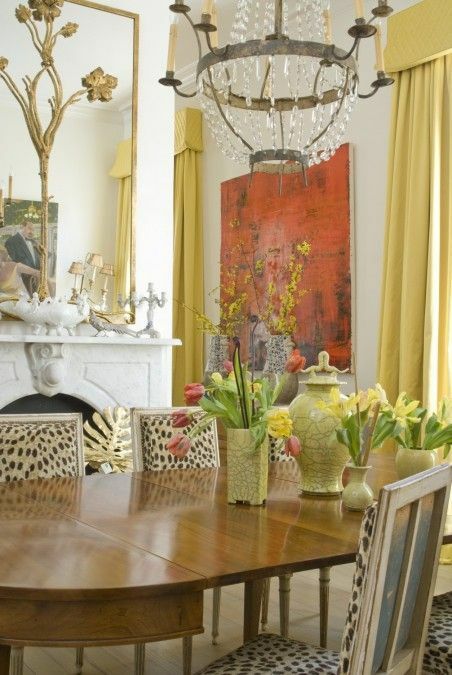 Look past the finishes in this room and look at each individual piece. You might have thought: Red curtains? Ugh. Bookcases in the dining room? Weird. Frosty chandelier? What. Patterned floors and chairs? Crazy. But it works! It’s so interesting. Every detail makes a difference. I love breaking things down. It helps me as a designer to go back and look at these things. Gives me new passion to stay on track. It’s okay if your vision doesn’t come to live in a year or even two. Keep focused, save your money. Gradually buy those pieces that work in your home and are a reflection of your personality and how you want your home to feel. Don’t buy anything just because you feel like time is of the essence. Make sure it fits into the grand scheme and look of your entire house.